Ryview #6 is Freedom Tower 2, by Swartag. 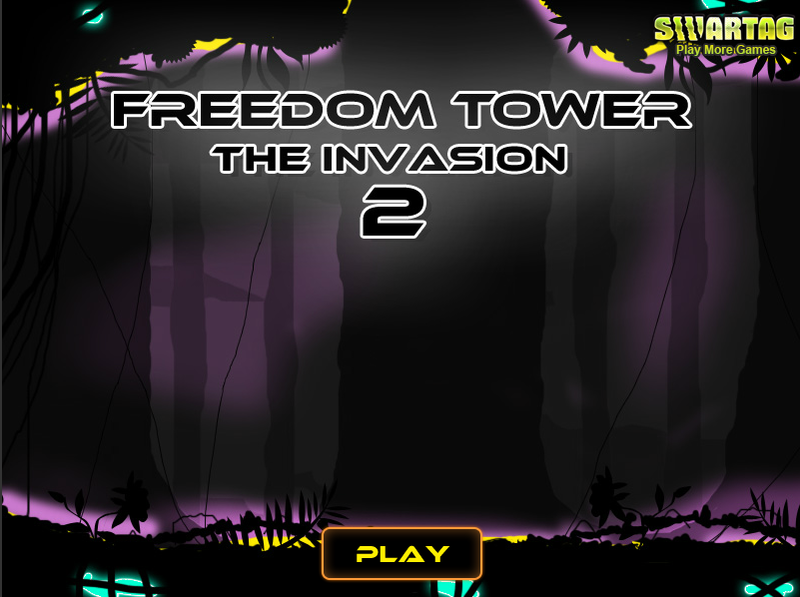 Freedom Tower 2 is a defense game where you control a tower on the left side of the screen and you must defend against hordes of enemies approaching from the right side of the screen. The art is quite nice, it's a mixture of blackness and sharply contrasting color, which works well and fits the mood. The music also helps turn this into a nice little gritty shooter. The bullet and projectile animations are fluid and honestly look quite satisfying upon impact. It's definitely a nice touch. There are also little floating temporary powerups in the field, which I quite liked. The floating aspect did not particularly impress me because after one or two upgrades I mostly just hit them by accident when attacking the enemies, but their effects were highly appreciated. They give you bonus firepower, extra health, or a little mini explosion. All in all, quite nice. 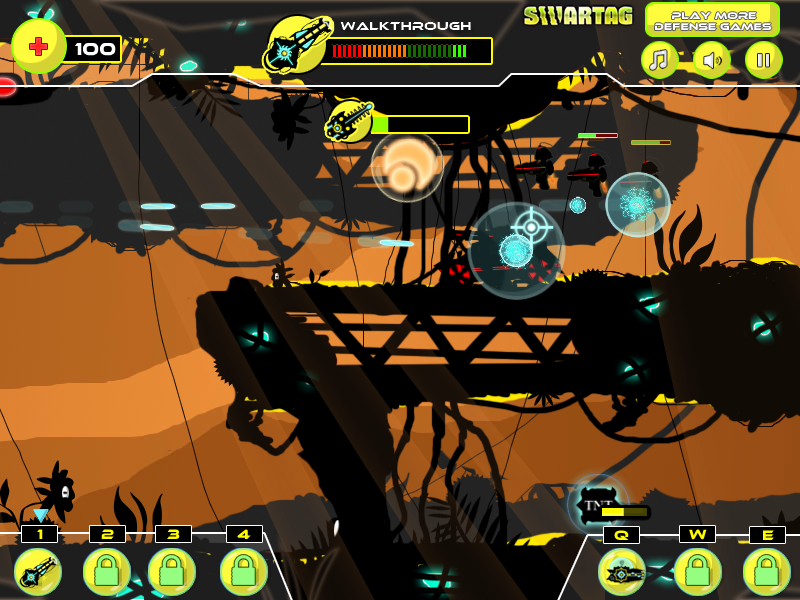 The level design is fairly straightforward, it's the same design for the beginning of the game then transitions to make things more difficult. 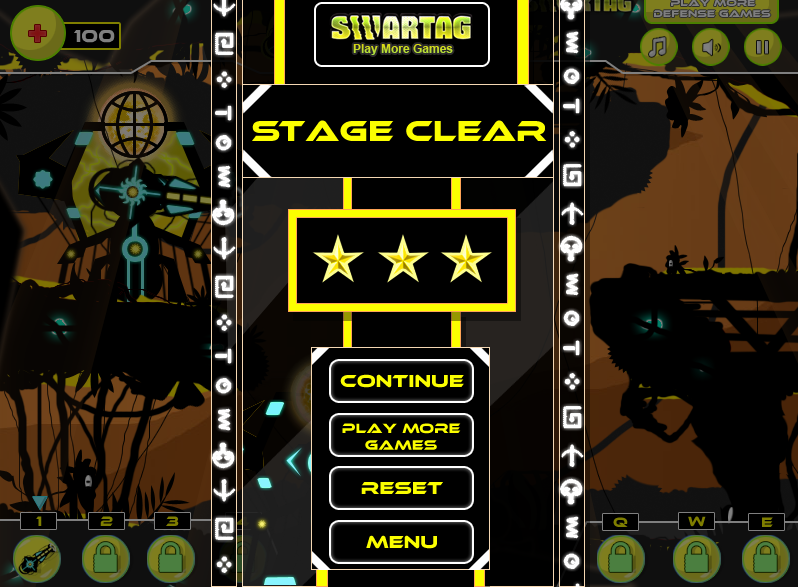 I thought the level change was placed well, I was just feeling it was getting stale as it transitioned. The upgrades are slightly frustrating for me. 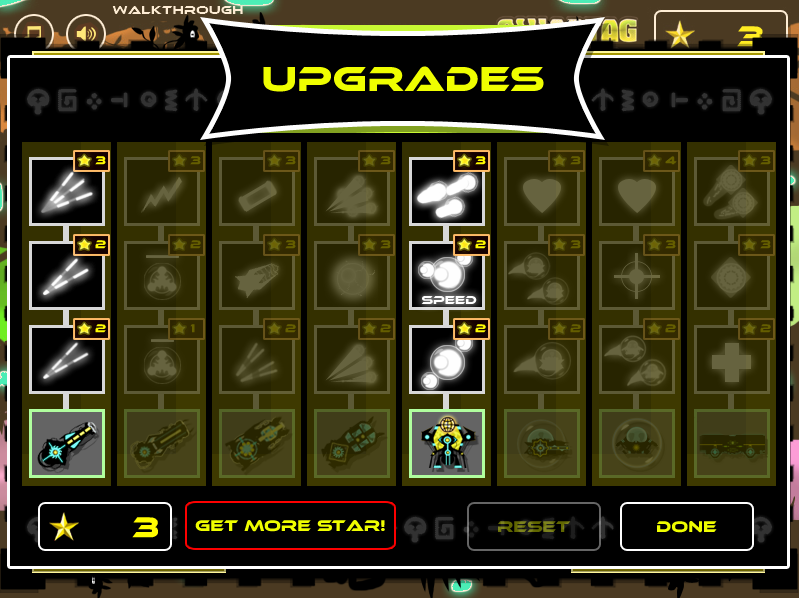 Similar to what I would call the "Kingdom Rush" style, your upgrades are earned through level performance in the form of stars (out of 3 per level) rather than strictly based on enemy kills. I dislike this method because it can create games that essentially make you hit a wall if too difficult. It lets you reshuffle the upgrades, which can come in handy once you get new weapons, but it is still sometimes a chore trying to 3 star a level to eek out one more upgrade. I get very frustrated when I play through a whole level and get no benefit in the end. There are in game achievements, which is always appreciated, but they are fairly superfluous, seeing that they give no in game benefits. And I must say, I know this is a small critique, but I wish I had some indicated about how much longer the level was. There is no indication for level duration, or amount of enemies remaining. or anything of the sort. I would have definitely appreciated that. Honestly, I found the game to be fairly repetitive, unfortunately. A large problem with this style of game is that you really need to work to finish, especially if the upgrades don't come in the "game changer" variety. A slow upgrade progression matched with the limited map changes really makes the game slog on as you push forward. I'd say it's definitely worth checking out, but probably not worth finishing. Let me know what you think of Freedom Tower 2!